My problem with Tesla is their quality control and build quality. You're paying for Audi level of quality but getting 1970s British Leyland levels of build quality and quality control. When you read up on some of the things owners are finding within the first week(s) of ownership these shouldn't be making it out of the factory. I'd go for another manufacturer with decades of car building experience. The biggest advantage for Tesla will always be the supercharger network. Even if your subjective opinion of their build quality is that they are relatively poor, this makes a Tesla more than worth it. Getting a £70/80k E-Tron or i-Pace, and then ultimately having to resort to the absolute shambles that is the public charging infrastructure would completely ruin the 'prestige' image you were trying to uphold...! It is no exaggeration to say the difference is completely night and day in every aspect, from reliability, ease of use, charging rate and availability. 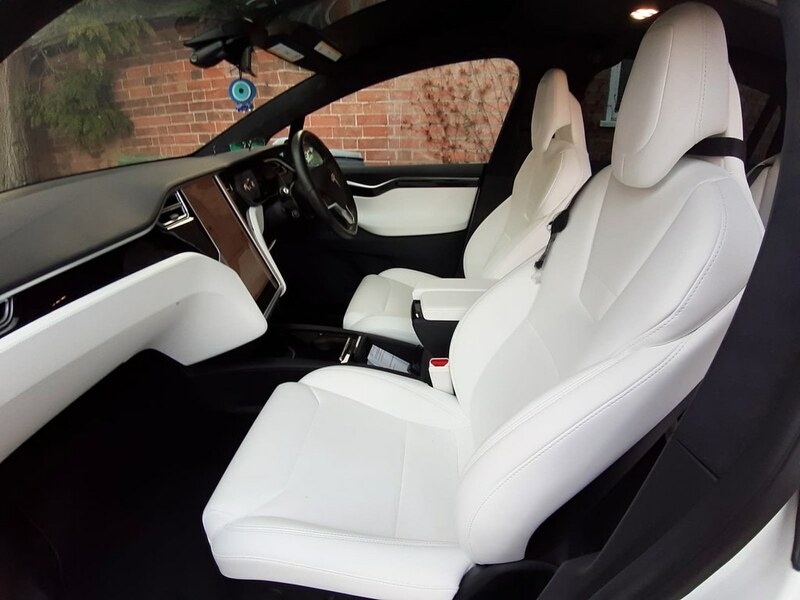 What exactly is your experience of Tesla build quality?? We've now had a X for 2 years and done 32K miles. It's never broken down or left me stranded by the side of the roads, unlike my previous BMW or friends Audis. Despite been a family wagon/occasional van for moving stuff to the skip, the interior looks 'as new' even with white leather, there are no rattles or squeaks. Our has taken us to France, Scotland, regularly do a 320 miles round trip to see the in-laws, carried 4 kids in it after football, had both set of parents in the back at once ( ) etc its used as the family hack every single day. Yes there are people who have had lots of issues with their Teslas, but on the whole they are no worse/better than BMW/Audi/Mercedes. Reliability isn't going to be as strong as our Lexus or my previous Nissan/Hondas but nor are BMW/Audi/Mercedes any better. In additional the main battery/motor is covered by a 8 year unlimited miles warranty, the rest of the car a 4 year 50K warranty, both warranties remain fully intact/honoured even if you DON'T service the car. Our car hasn't been for any kind of service yet, and wouldn't do till it hits 50K when I will get the battery coolant changed by Tesla. In addition the car keeps on getting better, pin-to drive has solved the risk of keyless entry theft, Autopilot software keeps on getting better, Tesla have introduced built in dash cam mode, also lots of other small but useful software changes have been pushed to the car via updates all done over WiFi!! Our Tesla is the most expensive car we have ever bought, but it no more costly to buy than an equivalent Q7/RR Sport. However I doubt those cars have anywhere near the software/hardware integration Tesla has, and running costs of either would be far higher than our X. 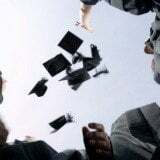 Last edited by gzoom; 12-04-2019 at 8:09 AM. Tesla look to be pulling the $35k TM3 already, the SR (standard range). Apparently the SR+ is outselling it 6:1, which makes sense since it seems to add a lot for just $2k. But I still don't understand the reason. If they can't afford to build the $35k model, then that would make sense, but weirdly the $37k model seems to be more than $2k better, and effectively a $35k killer (bigger battery with 20miles more range, electric windows, heated front seats, some nav and sound upgrades). Perhaps it makes more economical sense to build the $37k battery pack, and they are thus including it (software capped) in the $35k model, hence wanting to sell less of them. They will also software cap the sound system, navigation and heated seats, but I assume you get the leccy windows as you can't exactly software cap those without magic window winders. No idea, bit weird, but the $35k model can now only be bought via stores, which is the reverse of Tesla apparent desire to sell online. Anyways, no biggie, just having an out loud ponder on something that seems weird. Edit - Also completely missed that the SR+ is now open to orders in Europe, and I think Tesla may be starting leasing in the US too. Last edited by Martyn1981; 12-04-2019 at 5:49 PM. Reason: Made some edits. Occam's Razor, as ever, suggests the likely reason. They know damn well it's a loss leader, but had to be able to say "Yep, $35k model achieved!". If all the differences are software, then there's zero build cost difference. I'm a bit surprised that they'd fit seats with heating elements, then simply say "But you can't use 'em", rather than simply not fit the elements - automated production makes that no harder, although the cost saving is not going to be great, I s'pose. Again - obvious reason: cost difference is cents per car, and it makes for a future revenue stream by saying "OTA upgrade, insert card here". The second most likely reason is that it could be intended to form the basis of a "large fleet" spec. It's still available, apologies if I didn't make that clear. Plus it's better to achieve your targets, even if only briefly, than to miss them completely, or not even try at all ....... or perhaps churn out a ~2miles/kWh range BEV 7yrs after the TMS went on sale. The material cost to Tesla for making a SR versus SR+ is likely less than 4 figures, so a $2k price difference is a big margin to gain given the relative low cost of the car. The SR+ car is not going to be cheap though when it arrives in the UK, easily over £40k with the mandated inclusion of AP. Model 3 aside as a company Tesla's ability to introduce prompt software updates over the air is something unique in the car industry. Unless your been living under a rock most people are now aware the recent spate of keyless entry relay thefts taking place. You can clearly disable keyless entry but as a feature its pretty useful, not having to faff with keys is a real convenience. 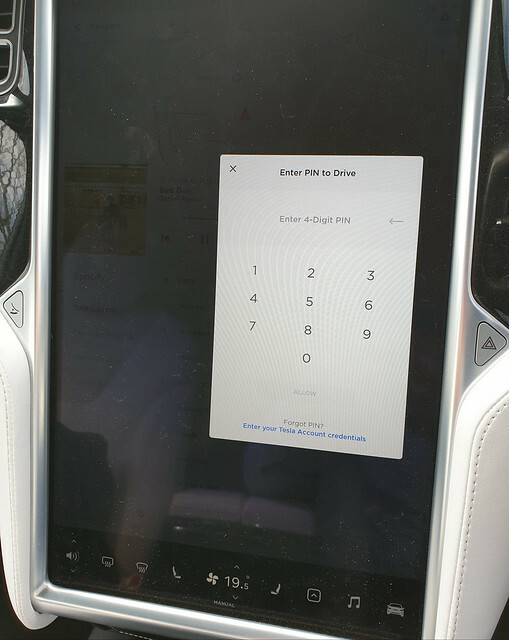 Some UK owners than tweeted Elon Musk about setting a 'pin to drive' option, were you still have keyless entry but need to tap in a pin code to actually drive. A few updates later and 'pin to drive' appeared as a option. However some one than noted if the key pad was always central people could guess the pin by persistent finger marks, so another software update later the key pad now appears at random positions on the touch screen. Regardless of what you of Tesla I cannot think of another car company with this amount of flexibility interms of software design and updates in direct response to customer needs. And all Tesla's including all Model 3s get the same kind of updates . Yep, I was pondering the same. What seems (to me) to be great value for an extra $2k, may well not be $2k to Tesla. I'd hazard a guess that installing wind up windows is actually a pig for them as they'd have to introduce additional complexity to the production line, and of course 10% more range for $2k is excellent, but not a lot of battery cost for Tesla. 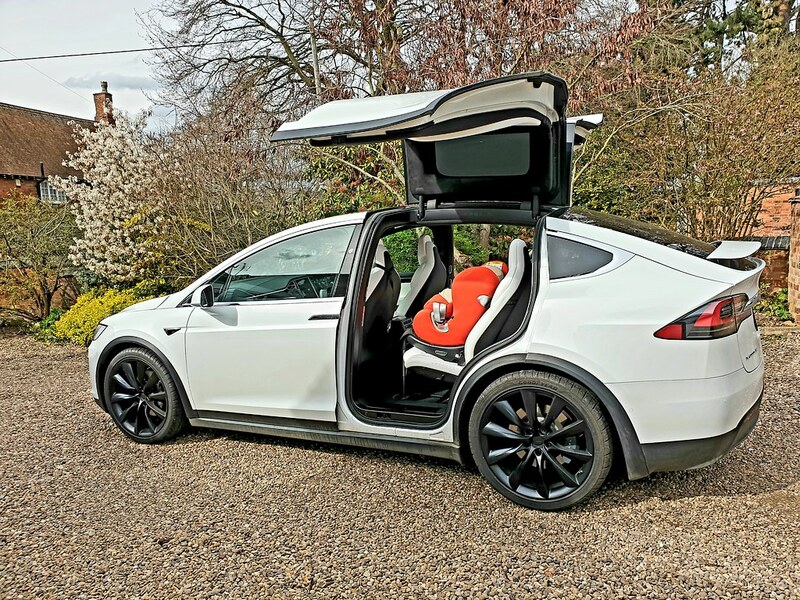 Some UK owners than tweeted Elon Musk about setting a 'pin to drive' option, were you still have keyless entry but need to tap in a pin code to actually drive. A few updates later and 'pin to drive' appeared as a option. 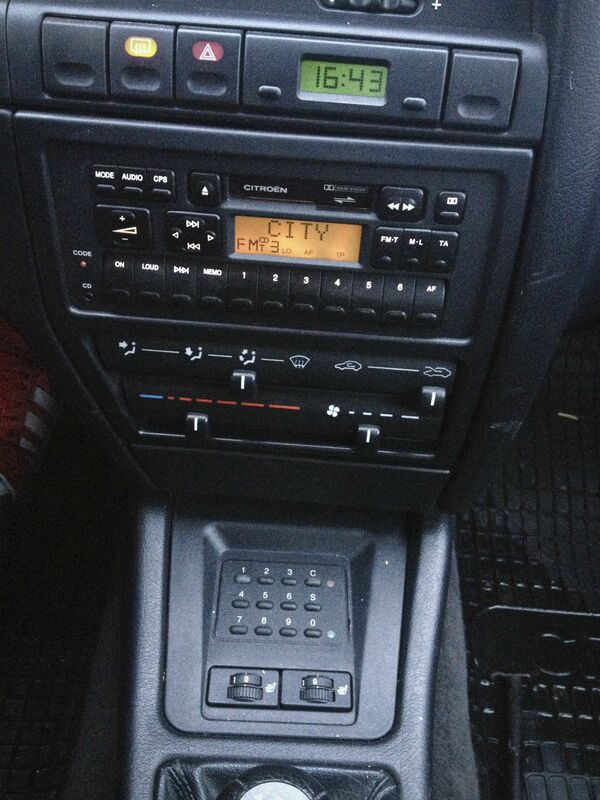 Just like on 1990s Peugeots and Citroens, with an immobiliser keypad. Turn the key, type in the PIN, start the car. He never said immobilized keypads were a new thing, just that Tesla installed them within 2 updates and then enhanced them again. Thats not true the Z doesnt stand for Zeppelin, it stands for Zahnradfabrik (gearwheel maker/company). Thanks for demonstrating just how much better the Tesla implementation is, that 'dash board' is almost the exact opposite of the Tesla user interface. Frankly just looking at those buttons gives me a headache, let alone trying to use it. Well, Tesla did have 3 decades to copy the idea and improve on it. After their own customers pushed for it. For my next car, keyless will be the deal breaker. I must be on a go slow, but it's finally sunk in today why they made the change regarding SR and SR+. I was stuck as to the point since they'd added a lot of value in the SR+ package of $2k, but probably costing them almost as much, but missed the fact that they are making AP mandatory. I note they've dropped the price to $2,500, but I assume AP, being a software update, has almost no cost to Tesla. So mystery (my missing the bigger picture) solved, that's where they are going to get the extra profit from. Day of learning for me, as I was genuinely not aware how expensive base BMW 3 series cars are. I saw this article and thought they must have meant M3's not base 3's, but no, I'm getting old and missed how expensive cars are getting. EUR 55k to spec a BMW 3 series up to a similar level to the Tesla, which costs 45k. The EV is almost a no brainer unless you need to do 300+ miles without stopping. The last couple of Fully Charged episodes have been funny as the mild mannered Robert Llewellyn has been pretty angry about Toyota's new advertising campaign about 'self-charging hybrid's'. Now he's noticed Ford and other companies are choosing the term too for their HEV's. Rob is very complimentary of all the great work Toyota have done with respect to HEV and PHEV's but he's furious about this misleading advertising. He's now described his BEV as self charging and when confronted on this explained it's the same claim (it also charges the battery when braking), and yes also wrong/misleading. Perhaps last roll of the dice by Toyota for HEV's, and picked up by other companies who (like Ford) are going almost all out for HEV's and PHEV's, but dragging their heels on BEV's? I've been enjoying the Toyota rants, too. And I can empathise with RL's frustration that episodes of Fully Charged are often prefaced with the Toyota ads courtesy of YT's topical ad selection. 1. Will it further confuse the Public at a time when change is definitely coming? I think the answer is yes. 2. Are Toyota content with a little marketing coup, and leaving it at that, or are they using further misleading advertising in conjunction with it? I think the answer is yes to that, too. In particular, there is one variant of the Ads where the punter asks the "car" whether SCHs are expensive to run, and the "car" responds with something like: "the main saving is fuel, because you'll spend half your time running on electric power", which in the context of a question about costs (not pollution) is just misleading, IMHO. I note that the ads don't seem to be available separately on YT or on Toyota's website - presumably they don't want them bad-mouthed on the Internet by hostiles. Last edited by Cornucopia; 17-04-2019 at 7:44 PM. "Self-charging" as opposed to plug-in. All the charge is generated onboard, by the internal combustion engine. What other term would you suggest? Petrol-electric Hybrid, or even Petrol-fuelled Hybrid? The problem with "Self-charging" is that it is inherently ambiguous. Last edited by Cornucopia; 17-04-2019 at 8:05 PM. "Petrol-electric hybrid" and "petrol-fuelled hybrid" also describe plugins. Well, except for the diesel ones, obviously. Since they can choose for themselves I just think they need to choose something not quite so hand-picked to confuse.